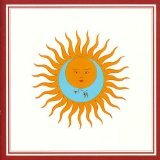 Larks' Tongues In Aspic is ranked 4th best out of 67 albums by King Crimson on BestEverAlbums.com. The best album by King Crimson is In The Court Of The Crimson King which is ranked number 33 in the list of all-time albums with a total rank score of 51,156. Members who like this album also like: In The Court Of The Crimson King by King Crimson, Red by King Crimson and The Dark Side Of The Moon by Pink Floyd. 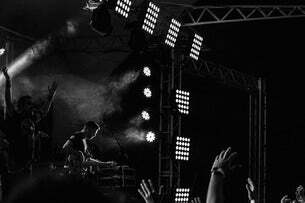 Greek Theatre, Los Angeles, United States. Related links: top tracks by King Crimsontop tracks of the 1970s, top tracks of 1973. Showing latest 5 ratings for this album. | Show all 393 ratings for this album. Weakest track: "The Talking Drum"
I became a fan of this band. Poor man Dark Side??? This album is far more experimental! The vocals aren't the best but they do work in the album as a whole. I often start my Sunday morning vinyl session with this one as a warm up! The main selling point of this album seems to me to be the rhythm section, which holds this all together. Some tracks meander a little too much (the first track loses all its energy with the virtually silent violin part) and don't have that much body to them. The wordless vocals on Easy Money kinda annoy me too. Not a perfect album by a long way for me. Interesting and challenging album from King Crimson. It really grows on you and some of the vocal tracks sound uncannily like Pink Floyd. Strong LP. A beautiful album. Jamie Muir adds a very nice touch. very melodic. Bass drives the album. It is a solid Crimson's album! The lead vocals and the drummer's momentary disconnections from the rest of the band are the weak points of this album. But the power and groove of the bass, the little frippian melodies and the very stimulating tempo games do make a statement for this record. Absolutely beautiful album, the instrumental portion is astounding. My second favorite album produced by King Crimson after In the Court of the Crimson King.